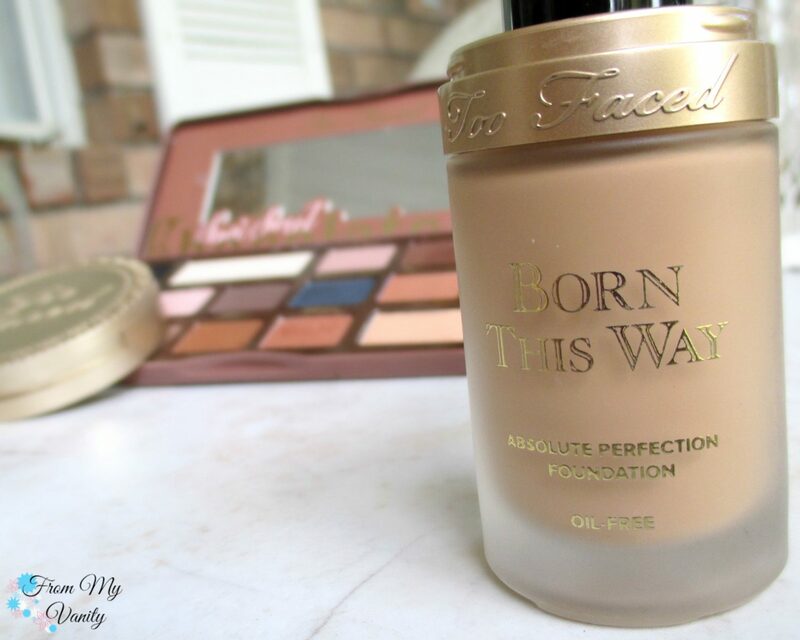 A foundation thats undetectable and natural, yet still offers you medium-to-full coverage. Sounds pretty amazing, right? 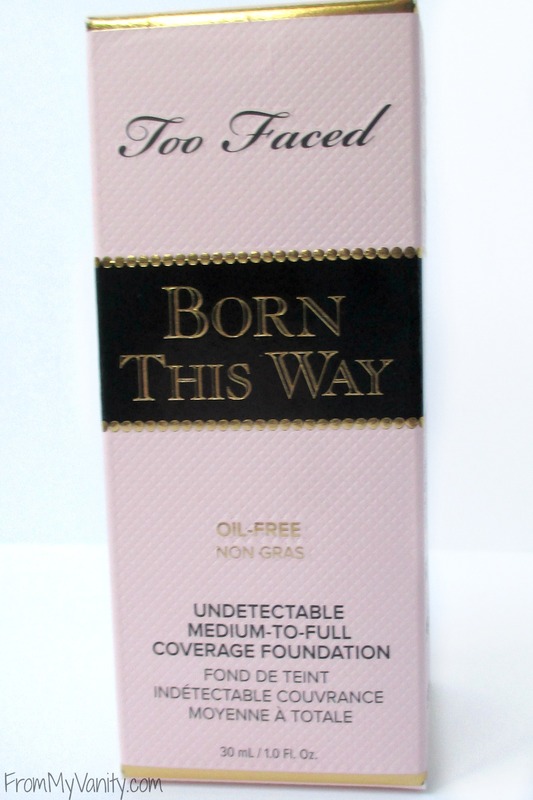 That’s what Too Faced new Born This Way Foundation says it will give you. 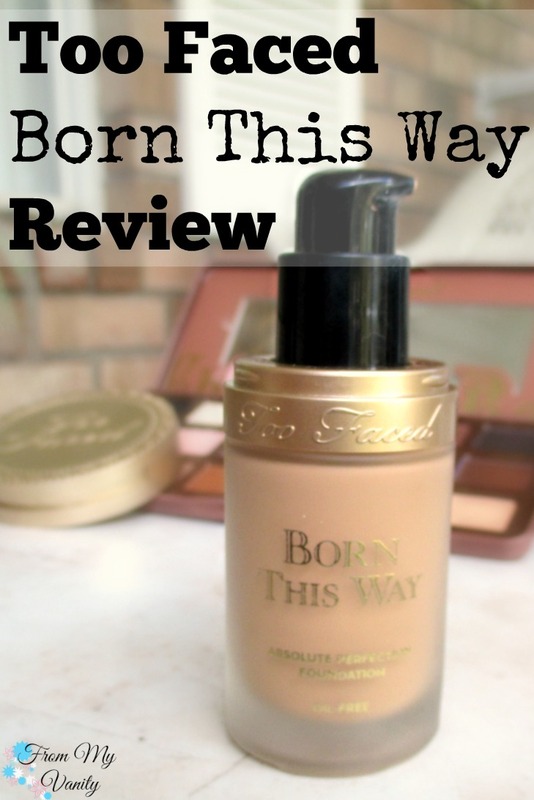 I know I’m a bit late at bringing you this review, but lets dive right in and see if this foundation lived up to such high claims! Skin so naturally radiant they’ll think you were born this way. 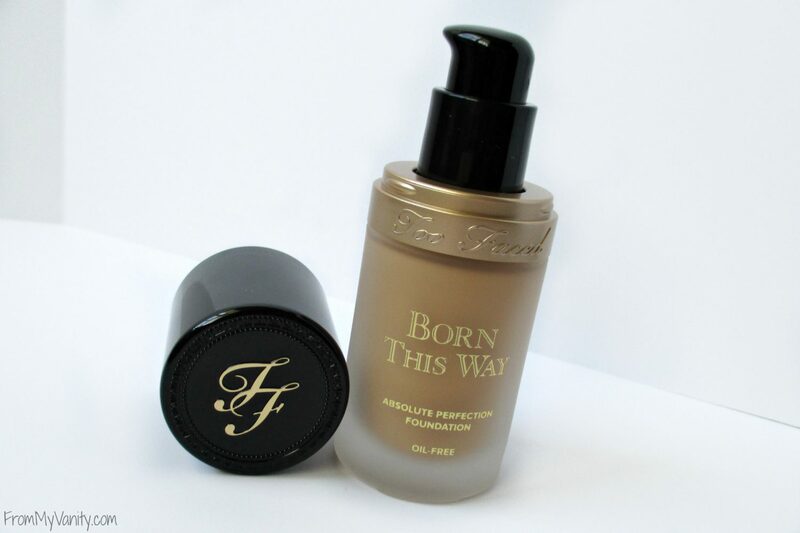 Born This Way is an oil-free foundation that masterfully diffuses the line between makeup and skin. For coverage so undetectable, you can’t see the makeup and you can’t see imperfections – all that’s left is naturally radiant skin that looks like you were Born This Way. 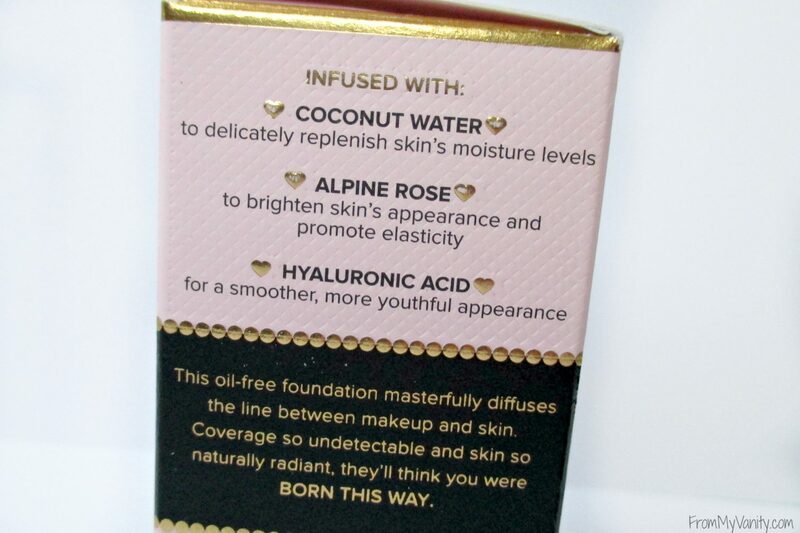 This revolutionary foundation is infused with a potent combination of coconut water to naturally replenish moisture levels; nature’s resilient alpine rose to brighten the skin’s appearance and promote elasticity and hyaluronic acid for a smoother, more youthful appearance. The consistency of this foundation wasn’t a thick mouse, but it wasn’t really liquidy either — it was somewhere in the middle. I applied this foundation using both a brush (flat top kabuki and a smaller all-over face brush) and a sponge, and I liked the results I got from all three. Using a brush definitely gave me more coverage, but using my Beauty Blender gave me the most natural, skin-like finish. In the picture above I am wearing the Born This Way foundation — I only used concealer below my eyes. I want to stipulate that on the day I took this picture I had no active breakouts going on, but still had the typical hyper pigmentation that I wanted covered. I used a brush to apply and was able to get almost full coverage with just one layer of foundation. The foundation lasts an impressively long time for my oily skin. I would say this foundation lasts a solid 6 hours on me before I start looking shiny and it starts breaking up in my T-zone. And it will still continue to look good, I can just tell that it’s starting to separate around my nose, chin, forehead and such and it will progressively get worse throughout the night as more of my oily skin comes through. The big question that I wanted to find out was, did this look natural on my skin. Did it look like I was ‘born this way’. 🙂 I would say that in person, no. You could tell I was wearing foundation, though it didn’t make me look cake-face. In pictures, however, I would say that the claims of this foundation shine through the most. As you can judge for yourself in the picture I shared above, it gave me a very radient, healthy glow that made my skin look naturally flawless. Nothing cake at all! What are your thoughts about the new Too Faced foundation? Have you tried it yet? Did you love it? Hate it? Share with me in the comments below! There are so many different skin types and preferences out there, I always love other what works for different people. I received the products mentioned above from Too Faced in the hopes that I would mention them on my blog. Regardless, this does not guarantee a review or feature on my blog. Affiliate links are used. All opinions are 100% my own. I ADORE this foundation! I did not at first because they gave me a sample of Sand and it was too dark so I thought I would never get a shade match. Then I went back and got Warm Beige and it is perfect. It definitely covers acne marks and makes my face look much clearer. This was honestly one of my favorite foundations that I had purchased recently. I have somewhat dry, combination skin and it works perfectly on my skin. I also have a significant amount of redness to cover and it does so beautifully! 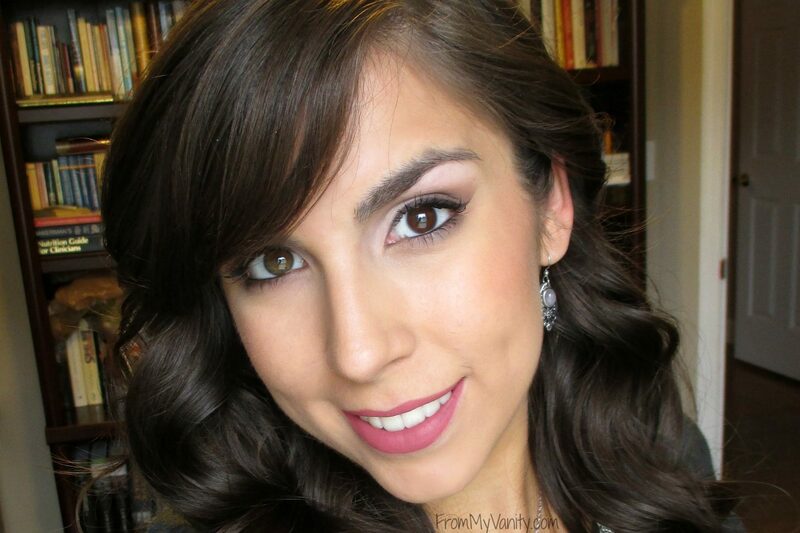 I think I like this foundation even moreso than my holy grail Urban Decay Naked….maybe, not sure, lol. It’s not an easy thing to decide if something is taking over your long-time favorite! I can’t say what it looked like in person, but it looks FANTASTIC on you in those photos! If anything it’s a very photo-friendly foundation, so maybe it’d be good for brides and things like that? Very beautiful, thanks for the review! Yes, it photographs beautifully, I love it! I’m really interested to know how this works on dry skin because I’ve been wanting to try it! I think it looks gorgeous on your skin in the picture. I got a sample when it first came out and really liked it. I would consider purchasing a full size when I need more foundation. Oh, that stinks that it doesn’t last as long for you! I typically only start getting oily skin toward the end of the day, so I don’t have to worry about it sliding off part-way through the day. I bought this foundation about a month ago and I haven’t used anything else since! I have had such a great experience with it, as well! The coverage is fantastic and it doesn’t look cakey! This goes straight to my shopping list! What a fabulous product! Enjoy it, when you’re able to pick it up! If you have issues with this product not staying, don’t use aonther brand on primer or setting spray. Stick to two faced for best results. Don’t order directly from two faced, they are rude and don’t do exchanges and it cost ten dollars to return for shipping and handling plus money for a return label and stamps. You do much better getting it from Sephora or Ulta. goes in the high end wishlist! Aww, so sorry girl! Well, I hear Ulta might be offering a coupon code that works on high end products, so maybe that will be a good time to grab this foundation! i feel like everyone has this and I NEED to try it! On another note – how do you get so many products from toofaced for review!? 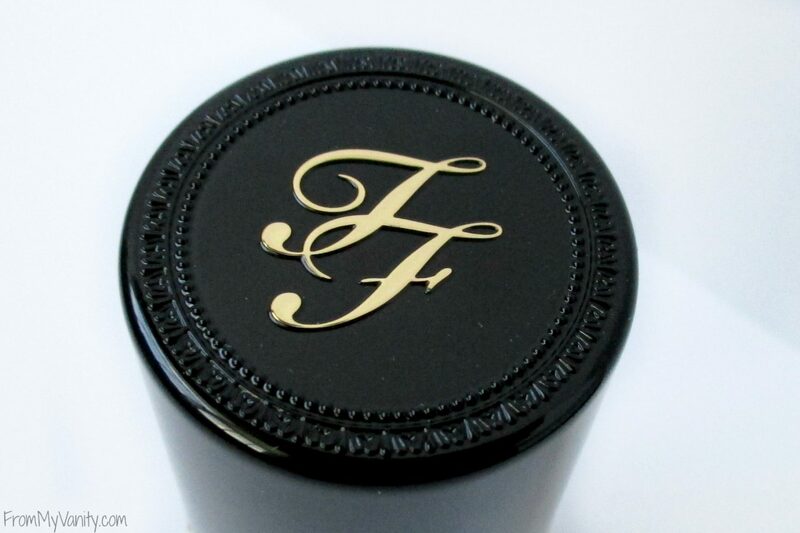 I’d love to know as they are one of my favorite high end brands!